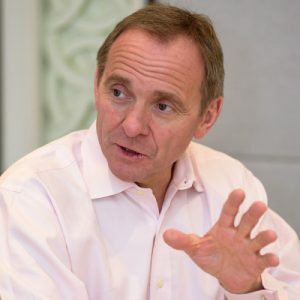 As Chief Executive of the Civil Service, John Manzoni leads the reform programme across government, working with permanent secretaries to transform public services and the way government works. John’s work focuses on skills, property, shared services, government processes and digital technologies. As Permanent Secretary of the Cabinet Office, John is responsible for leadership and governance. The Permanent Secretary is also the Cabinet Office’s Accounting Officer, responsible for the financial propriety of the department. John has more than 30 years’ experience in the private sector. Before joining government, he was President and Chief Executive Officer of Canadian oil and gas company Talisman Energy Inc. Prior to that he was at BP, where he held senior strategic and operational leadership roles at global, regional and local level. Between 2002 and 2007 he was BP’s Chief Executive, Refining and Marketing, spanning six different businesses across more than 100 countries; and he was a member of the BP plc main board from 2003 to 2007. 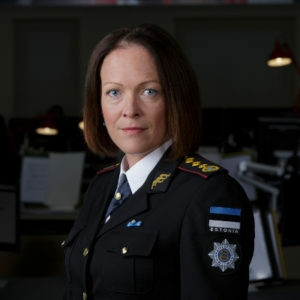 Kätlin Alvela was confirmed as the Director General of the Estonian Emergency Response Centre (EERC) in March 2017. EERC handles all incoming emergency calls nationally, assessing and prioritising each and despatching police, rescue and ambulance services. From 2004-2017 Kätlin served in the Police and Border Guard Board, holding various positions in criminal and public order policing. From 2015, she was Director of the Development Department’s Prevention and Offence Proceedings Bureau. She has a Bachelor’s degree in Social Work and Rehabilitation at Tartu University, and a Master’s Degree in Governmental Sciences at Tallinn University. Kätlin speaks Estonian, English and Russian. Nihat Arkan is a global executive with a strong background in global expansion, market development and a proven track record in guiding organisations through periods of accelerated growth. Before joining thebigword, Nihat was CEO of the world’s largest global content management company. Nihat is leading a programme of new investment in technology and talent to support thebigword’s growth aspirations in key areas. 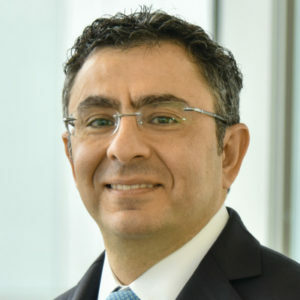 George Atalla is EY’s Global Leader for Government and Public Sector, which includes more than 19,000 professionals across developed and emerging markets providing advisory, audit, transactional and tax services. George has worked in more than 30 countries, focusing on government digital transformation, public private partnerships, outsourcing, restructuring, organisational transformation, policy reform and investment prioritisation. Working with clients and EY teams worldwide, George helps promote innovation in fields such as public finance management and smart cities; he has also authored several papers on government policy and modernisation. 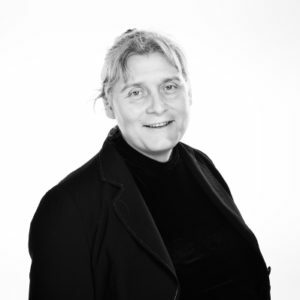 Jane Barrett is one of the founding partners of Cadence Innova, a multi award-winning management consultancy, who specialise in delivering sustainable change with an enduring and positive impact. Having set out to deliberately create a values-driven organisation, Jane enjoys working with clients who feel the same way. Helping a variety of organisations release the potential from within their own teams, has led to many successes this past year. In 2018, Cadence Innova won awards for the development of the Gender Pay Gap digital service, Innovation in the Health procurement sector and most recently the 2018 Inspiring Leadership Team award from the Inspiring Leadership Trust. From an academic background in politics and economics and a career that began in Local Governments fast stream, Jane’s work has ranged from developing anti-terrorism strategies, both sides of the Atlantic, to designing and commercialising services across local government that have helped positively transform neighbourhoods and eradicate certain elements of antisocial behaviour, whilst generating income. As a mother of two young children, one with special needs, Jane fully understands the challenges of maintaining the careful balance of priorities in both her business and personal life. She has personally supported a number of initiatives to help single parents back to work, she fosters a culture of inclusion and appreciation across her organisation and actively campaigns for greater recognition of women in the modern workplace. Peter Batt was born in Dusseldorf in 1955. After studying Law at the Universities of Bochum and Bonn, and spending time as an intern at the regional court in Dusseldorf, he began a professional career as a lawyer in 1986 with two insurance companies. He joined the public sector through German Pension Insurance – first in the field of IT management and programming, then overseeing human resource strategy and management 1996-2000. 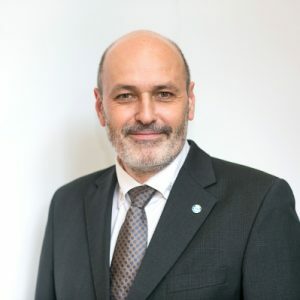 Peter then became director general of the Organisation and ICT Services department, leading a staff of about 1000 – one of the largest ICT teams in the public sector. In 2009 he joined the Federal Ministry of the Interior as Deputy IT Director. In 2016 he became Director General, and is now responsible for Digital Society, Organisation and Digitisation of the Administration and Information Technology, as well as the Federal Academy of Public Administration. Prior to his appointment as CIO, Alex was the President and Chief Executive Officer of the Canada Science and Technology Museums Corporation. From 2011 to 2014, he was Vice-President of Government Affairs and Business Development at OpenText; and prior to that, he managed various teams and programmes at the Canadian International Development Agency, Foreign Affairs and International Trade Canada, Natural Resources Canada, and Library and Archives Canada. Alex has a BA in History from the University of Ottawa and a Master’s degree in History. He has long played a leadership role in Canada’s digital industry, and promoted the global shift to digital in organisations such as the G20, the Commonwealth Secretariat and the Olympics. He was recently named on Apolitical’s international list of the 100 most influential people in digital government. He is also the author of Canadian Failures, an anthology of essays from prominent Canadians openly talking about failure; and Government Digital, an in-depth look at how modern governments are tackling digital change. A transformational IT executive and strategist, Sujay specialises in managing & remodelling workspace services for enterprises. He has nearly 20 years of domain expertise across pre-sales, delivery and consulting, helping companies to re-imagine and digitise the end user experience. As Wipro’s head for Workspace Services, he works with large enterprises to plan and deliver digital workplace programmes – simplifying processes, building systems around users, and empowering people across the organisation. As well as defining the vision and delivering the required systems, he maps out the path to automation and provides change management support. And Sujay is a technical adviser to many technology providers, helping them to shape and deliver new products. Paul Brook Manages a team of Data Analytics and Artificial Intelligence specialists at Dell EMC. 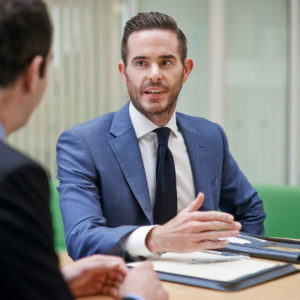 His team works with customers, business partners and technology integrators across EMEA describing and designing platforms that help to make money and save money for Businesses and Public Sector organizations as part of their digital transformation. Author of ‘The Life of AI’ (Amazon June 2018) Paul was previously responsible for various programs within Dell, including Hyperscale/Cloud and High Performance Computing. Prior to Dell Paul worked in the Applications Development and Managed Services sectors. Before joining the IT industry Paul worked for a Consultancy that specialized in Business Performance Improvement. 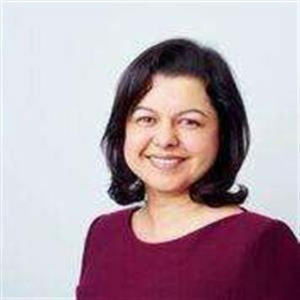 Radhika Chadwick leads EY’s UKI Central Government sector, covering all our work across Whitehall and its arm’s-length bodies. She is also EY’s Global Lead for Digital and AI in Government. Both a strategist and a technologist by background, she has 25 years’ experience in complex strategic transformation and reshaping organisations for success in an age of technological disruption. Her work with clients includes helping large departments to manage the impact of EU exit; redesigning the prison service for the future; and using data-led approaches and technologies to create operational efficiencies and address social issues. Radhika has an MSc as a Sloan Fellow in Strategy & Leadership from London Business School, and an undergraduate degree in technology from the University of Texas in Austin. She is a trustee of national UK charity The Restorative Justice Council, and co-founder of the Economic Singularity think tank – which focuses on the long-term role of AI in society. She regularly speaks on topics related to AI and technology disruption, public sector reform, and women/diversity in technology. 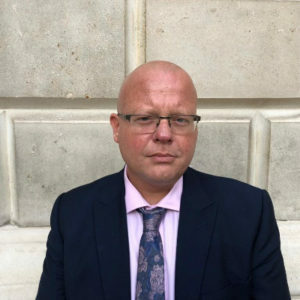 Mark set up and heads the Centre of Expertise for Counter Fraud at the Cabinet Office, which manages cross-government efforts to improve the tackling of fraud and economic crime. Working with ministers and civil service leaders, he leads initiatives to transform the way central government deals with fraud – including establishing the Government Counter Fraud Profession, creating organisational standards, and improving data-sharing and the use of analytics. 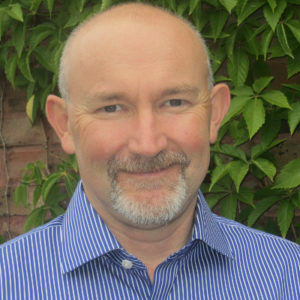 Mark began his career as a filing clerk in the Legal Aid Agency (LAA), at the Ministry of Justice. He later held various project management, operational and assurance management roles there, including that of Head of Counter Fraud and Investigations. 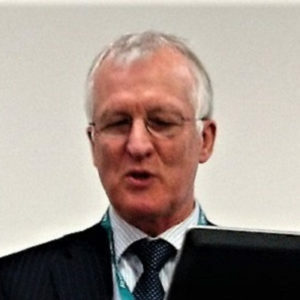 In this latter role, his work led to the first prosecutions of members of the public for legal aid fraud; the first cross-agency prosecutions with other public bodies; a fundamental redesign of the fraud risk assessment model; and securing a return on investment from the counter fraud function that exceeded its cost. Steve has worked on government debt for 18 years – starting as a collector on the phones in HM Customs & Excise, before moving into HMRC’s debt transformation programme and then on to commercial management of private sector debt contracts. Now heading up the Debt Function in the Cabinet Office, he is currently working to implement a National Audit Office recommendation which will see the remit of the Cross Government Debt Strategy expanded to include local authorities. 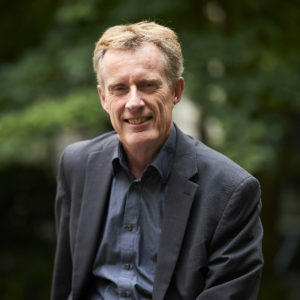 Kevin became Director General of GDS in August 2016. He is also Head of Function for Digital, Data and Technology across government, and a member of the Cabinet Office’s Executive Committee. 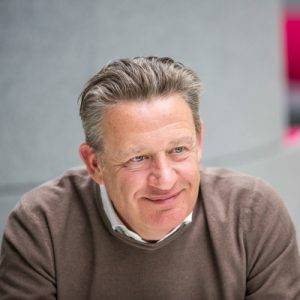 He spent his early career in programming and IT consultancy, before becoming Global Head of Online for Vodafone Group then Business Transformation Group Director General at the Department for Work and Pensions (DWP). Mark joined the Crown Prosecution Service in July 2016, where he leads the digital & technology directorate. He is driving the CPS’ 2020 Digital Strategy – priorities include investments in new hardware, software and infrastructure; migration to cloud of a wide range of services; building partnerships across the criminal justice system; and contract disaggregation. He previously worked in a variety of private sector roles, most recently at Barclays Bank. Away from work, he has a son who is almost 4, a baby daughter almost 1 and is a keen football supporter, chess player and curry eater. 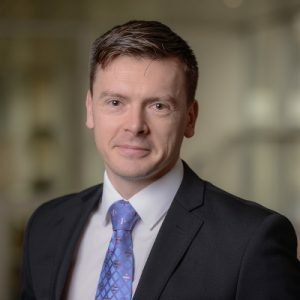 A commercial leader with wide experience in the public and private sectors, Chris specialises in shaping and leading major transactions – including those with high technology content. His private sector experience includes senior appointments in blue-chip technology companies, and 20 years’ practical experience in hands-on management consulting. He has successfully built and led commercial teams within the civil service and professional services firms. 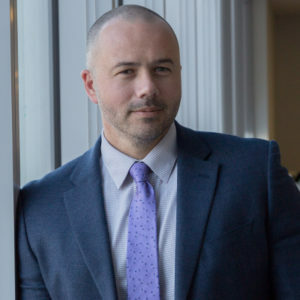 Dax Harkins is the Director of NS&I Government Payment Services (NS&I GPS) and a member of NS&I’s Board since 2014. He is responsible for the overall strategy and commercial success of NS&I GPS, strengthening existing client relationships, and delivering innovative banking and payment services to UK government departments. Highlights of Dax’s leadership include the delivery of the innovative Childcare Choices scheme for government and the Help to Save scheme for HM Revenue & Customs. 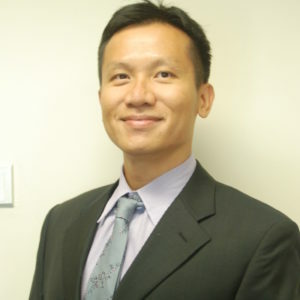 He has over 20 years experience in retail financial services and over 15 years experience as a civil servant. A joint honours degree graduate of the University of Manchester Institute of Science and Technology Dax is an accredited Chartered Director from the Institute of Directors (IOD). Sarah leads the Office for National Statistics’ work to bring in datasets, prepare them for the production of statistics, and make them available for research inside and outside the office. 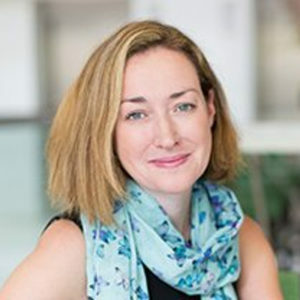 She joined ONS in 2017 from Manchester City Council and the Greater Manchester Combined Authority, where she developed evidence and analysis that informed devolution initiatives as well as local decisions – managing projects including the creation of a ward-level population forecasting model; linking datasets to inform safeguarding services and early interventions; and building a spatial forecasting model to predict ‘urban flow’ in partnership with Ordnance Survey. Sarah is passionate about using data for public good and ensuring that the national data asset is utilised to describe and explain the society and the economy. Dmitri Jegorov has served as Deputy Secretary-General for Tax and Customs Policy at Estonia’s Ministry of Finance since August 2014. Prior to that appointment, he underwent doctoral studies at the Norwegian School of Economics (NHH) in 2014, having held a research post at the Strategy and Management Department. From 2008-10 he was Deputy Director-General for core processes at the Estonian Tax and Customs Board, having held the post of Deputy Director-General for services from 2006-08. And from 2001 to 2006 he worked at the Tax and Customs Board, first as Head of the Direct Taxes Division (2001-04) and then as Head of the Tax Department. Before entering government, Dmitri was a corporate finance consultant at KPMG Estonia AS from 2000-01. He speaks Estonian, English, Russian and Norwegian. Rannia Leontaridi was appointed as Director for Business Growth at BEIS in May 2016, and has since added the role of joint Director for the Office for Artificial Intelligence for the UK Government. In her dual role, Rannia leads the government’s work to start up, grow and scale productive businesses in the economy, and has responsibility for the AI Sector deal and AI Grand Challenge set out in the Industrial Strategy. She is also the Government’s senior sponsor for the British Business Bank – the UK’s development bank – and ‘Be the Business’: the new organisation created by the Productivity Leadership Group. Rannia began life as an entrepreneur, and later became an Assistant Professor in Economics. She entered the civil service via the Prime Minister’s Strategy Unit in the Cabinet Office, and has held senior positions in the university sector, the Cabinet Office and the Department for Environment, Food and Rural Affairs. 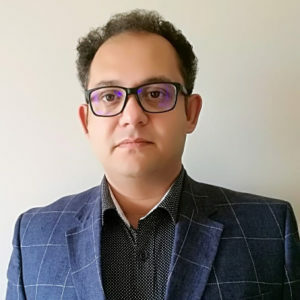 Rannia is a co-founder and sits on the board of Crown Hosting Services, a joint venture between government and Ark Data centres which provides hosting services for legacy public sector infrastructure. In February 2016, Rannia received the Order of the British Empire (OBE) for public service. She is a Carnegie Scholar and holds a PhD in Labour Market Economics. Mr Tang Liheng joined the Public Service Division in 2016. He assists in the transformation of the public service so that it is better prepared to serve citizens and businesses, facilitating improvements to government agencies’ service delivery models and encouraging innovation. Liheng was previously in the Ministry of National Development, where he coordinated the strategies and development plans of the Sino-Singapore Tianjin Eco-city project. Prior to that, he was in the Ministry of Finance overseeing social policies and financing measures to help Singapore companies internationalise. When he was in the Ministry of Home Affairs, he oversaw the security policies and operations of the Singapore Police Force. 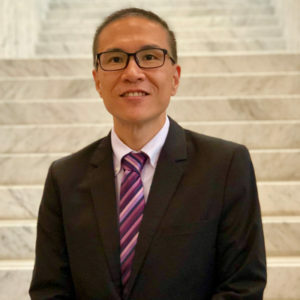 Paul Loke leads the technology strategy at the Accountant-General’s Department (AGD) and manages multiple civil service-wide systems, including the government’s financial, accounting, e-invoicing, medical benefits, payroll and claims systems. 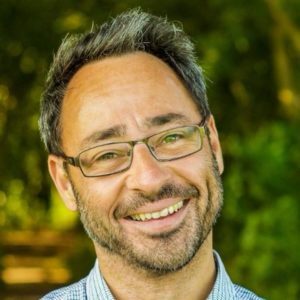 He has over 20 years of IT experience in both the public and private sectors, specialising in helping organisations to adapt to a volatile, uncertain, complex and ambiguous world. Paul is currently exploring technologies to automate testing and increase productivity as part of AGD’s digital transformation agenda, combining robotic process automation with technologies such as analytics, machine learning and natural language processing. He also helps drive the adoption of cloud technologies to support Singapore’s Smart Nation journey. Paul’s past projects include the [email protected] mobile application, which streamlines the process for small businesses to invoice government; and the [email protected] mobile application, which supports pay, claims and leave applications for government employees and pensioners. The former received the Best Mobile Government Service Award (Economy & Commerce Category) at the World Government Summit 2017; and the latter won in the Government and Public Services Category at the Enterprise Innovation 2017 Awards. Beyond technology, Paul has held a variety of roles – including managing audio-visual and lighting teams, corporate services and planning, office operations, governance and legal services. He holds a Master of Science in Networking and Communications. 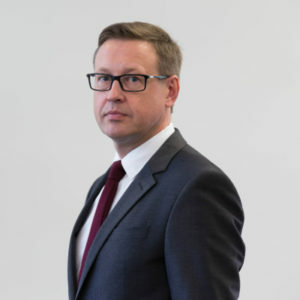 Mart Mägi has served as Director General of Statistics Estonia since April 2017. Prior to that, he worked in insurance and banking – spending time as CEO at Swedbank Estonia Asset Based Financing and P&C Insurance, and CEO of the CEE unit of Sampo plc. He has also led businesses in the services sector, including roles as CEO of PriceWaterhouseCoopers Advisors Estonia; CEO of car retailers Amserv Grupi AS; and CEO of pharmacy group Südameapteek. He has MBAs from the University of Tartu and the University of Banking and Insurance in Warsaw. He speaks Estonian, English, Russian and Finnish, and is Chairman of the Council of the University of Tartu Foundation. Paul is the Chief Digital Officer at the Ministry for Housing, Communities & Local Government, UK where he is focussed on improving the Department’s digital services, working with local government to develop their digital capacity, and improving access to data to support innovation in the housing, land and planning sectors. He previously led the government’s new data agenda as Director of Data in the Cabinet Office’s Government Digital Service, with responsibility for open data, data science in government, data infrastructure and data legislation. He has a background in public service innovation and reform in government with spells in Leicestershire County Council, the Home Office and the PM’s Strategy Unit. 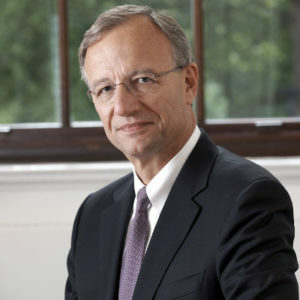 Tony Meggs is the Chief Executive of the Infrastructure and Projects Authority. He became Chief Executive of its predecessor body, the Major Projects Authority, in 2015. 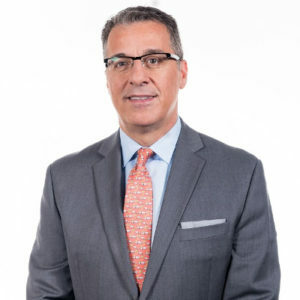 He is a senior executive with significant experience as a functional leader in the private sector and has led collaborations with several businesses and universities. Tony set up the BP project leadership programme that was the inspiration for the UK government’s Major Projects Leadership Academy. He also co-chaired a major study at Massachusetts Institute of Technology. 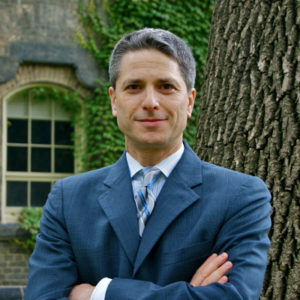 Matthew Mendelsohn leads the Canadian federal government’s Results and Delivery Unit and its Impact and Innovation Unit. He is a former Deputy Minister and Associate Secretary to the Cabinet with the Ontario government, and a former Senior Advisor in the federal government’s Privy Council Office. During a stint outside government, Matthew was the founding Director of the Mowat Centre: a public policy think tank in the School of Public Policy & Governance at the University of Toronto. During that time he published and lectured widely on government transformation, democratic institutions and intergovernmental politics. Matthew received his BA from McGill University and his PhD from the l’Université de Montréal, and held a post-doctoral fellowship at the University of British Columbia. He was a tenured faculty member in the Department of Political Studies at Queen’s University for 10 years, and has been an active volunteer board member for many not-for-profit organisations supporting community engagement and improved social and economic outcomes. 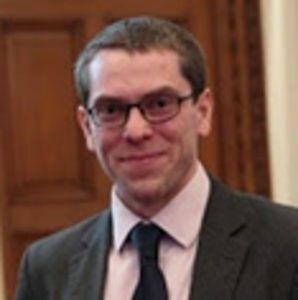 William is a Director in the Cabinet Office, CEO of the new Geospatial Unit, and a member of the Geospatial Commission – charged with setting policy and overseeing implementation for the UK’s geospatial agenda. 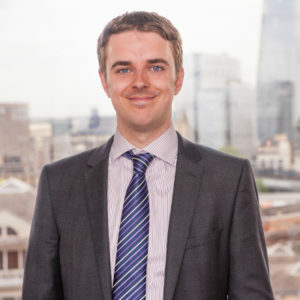 He joined the Cabinet Office and the Government Commercial Function (GCF) as a Crown Representative in September 2015, overseeing the government’s relationship with IT suppliers IBM and DXC. From April 2017 to January 2018, he was Interim CEO of Broadband Delivery UK (BDUK) and a member of the Department for Digital, Culture, Media and Sport’s (DCMS’s) Executive Board. With over 20 years executive experience in the IT and telecoms sectors, William has held senior leadership positions with a number of the leading global ICT service providers. He is a chartered civil and water engineer, and has worked in many overseas countries on development projects for the World Bank and the CDC Group. 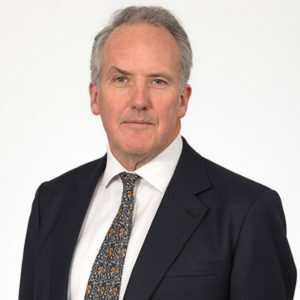 William is also a non-executive director of DCMS’s Royal Armouries International, and an independent board member on the DCMS Major Programmes Board. Gareth has been the Government Chief Commercial Officer since March 2016, leading the transformation of commercial activities – one of the civil service’s top three management priorities. Previously he was Chief Executive Officer of PHS Group, a leading provider of outsourced workplace services in the UK. Gareth is an experienced CEO and Non Executive Director, with a consistent record of reinvigorating and reinventing listed and private equity-backed companies through creative growth strategies. Before joining PHS, Gareth held CEO posts at engineering group Charter International; Capital Safety Group Ltd; and Vitec Group plc. Andrea Schneider studied economics and taught economic policy and development economics at the University of Erlangen-Nuremberg. In 2007, she joined the Office of Germany’s Federal Chancellor, Angela Merkel; and she is now its Head of Directorate Innovation and Policy Planning. 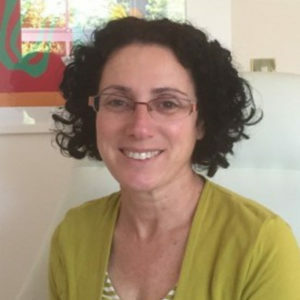 Andrea specialises in the development and implementation of strategic innovation projects, with an emphasis on effectiveness and evidence-based politics, anticipatory politics, and dialogue with citizens. Her public engagement projects have included the Chancellor’s National Dialogue on Germany’s future, the government dialogue and report on wellbeing in Germany, and the Dialogue on Europe’s Future. 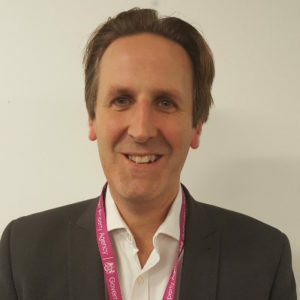 Martin is the Senior Responsible Officer holding accountability for the Government Hubs, Whitehall Campus and Smarter Working Programmes, all part of delivering the Great Places to Work for Civil Servants aspects of the civil service’s overall strategy. Previously Martin led the delivery of various projects and programmes – most recently the Smarter Working Programme in the Home Office, which included the movement of 2100 Home Office staff to Croydon, and the creation of the Croydon Campus housing 7700 staff in five refurbished buildings. Andrea leads the award-winning Policy Lab and Open Innovation Teams, where she has worked on over 40 policy projects for the Prime Minister and other government departments. From digital policing to social housing, she is responsible for inspiring new thinking in policy-making, putting citizens’ needs at the heart of decision-making, and supporting departments to open up policy-making and trial new approaches. 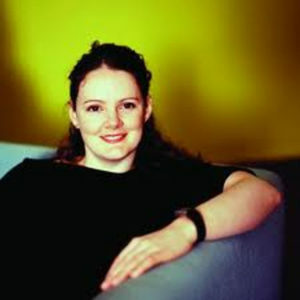 Andrea holds a first class honours in Industrial Design, a PhD in Virtual Reality, and an Executive Masters in Public Policy from the London School of Economics. After working in consultancy and academia, she joined the Design Council as its first Chief Design Officer. 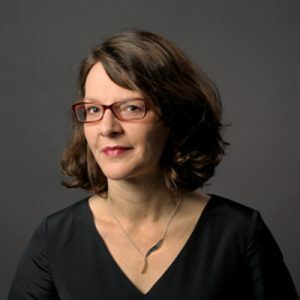 She is an international judge of design prizes and has been a board member for various research initiatives and a member of the European Commission’s Design Leadership Board. Andrea is providing leadership training on Design Thinking for a range of global leaders in partnership with Ashridge Executive Education, Oxford SAID Business School and the London School of Economics. In 2015, she became the 10th female to be awarded the prestigious Royal Society of Arts Bicentenary Medal. 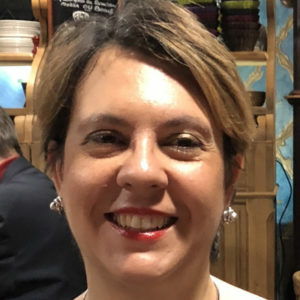 As the Head of the Service Delivery Office, Lucelle Veneros is leading a shared service provider ‘hub’ located in the Australian Department of Finance. 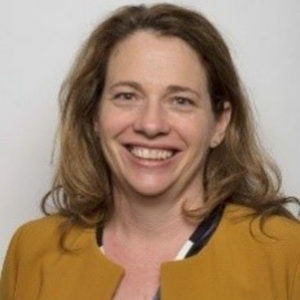 She is responsible for the transformation of corporate transactional services for a range of Commonwealth agencies focussed on delivering increased productivity through people, process and digital technologies, including automation and cloud technology. Lucelle has more than 20 years’ experience in both Commonwealth and state governments within Australia. Lucelle brings a variety of skills and perspectives to shared services from delivering structural, organisational and policy reforms in the fields of health, ageing, social services and disability. Marcelle has over 20 years’ experience in technology. She has held a variety of roles in the financial services sector, with particular focus on the area of risk and financial instruments. Marcelle leads the Finworks data business, which was established following a two-year R&D programme into semantic data technology, that she lead. Previously, Marcelle developed Fincore’s data management product for banking. She is co-author of Pricing, Risk and Performance Measurement in Practice (Reed Elsevier, 2009), as well as an experienced and commercially qualified yacht racing skipper and instructor. Marcelle holds a degree in Economics and International Relations from the London School of Economics.